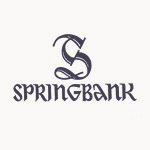 Located in Campbeltown, on the southern Kintyre peninsula, Springbank is one of the last surviving producers of the Campbeltown single malt. It is one of only two distilleries in Scotland to perform every step of the whisky making process on site, from malting the barley, to distilling and bottling the liquid. A family run distillery since 1828, nearly all of its whisky is sold as single malt. Springbank produces three distinctive whiskies: Springbank, Longrow and Hazelburn.